What will be more important when you look back in ten years– the good times you spent with friends and family or the extra tasks you crossed off your to-do list? You know the right answer, and so do I. In light of that, I’ve been trying to make more time for people. This past Sunday, for instance, I traveled from the Twin Cities to Madison, WI, to see a Needtobreathe and Ben Rector concert with some of my closest friends. Now, if you’re not familiar with Needtobreathe, stop reading and go to YouTube right now. They’re AMAZING. And seeing them live will change your life, so you should buy some tickets– pronto. The group I went with yesterday was comprised of several individuals who adore Ben Rector and Needtobreathe, so we were really excited leading up to this day. 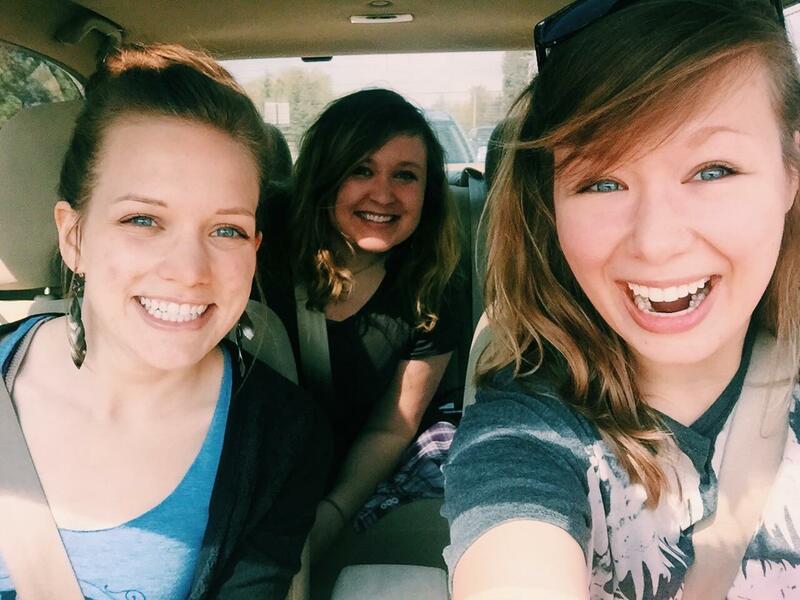 We had a countdown going, talked almost incessantly about the release of NTB’s recent live album release, and regularly discussed how excited we were to be roadtripping out to Madison to see them. The day approached quickly, and we were off! It was a 5-hour drive each direction, and the concert didn’t start until 7:00 (on a Sunday– whose bright idea was that?!). So we left around 11:30am from the Cities, and arrived just before 4:00pm in Madison. After a quick bite to eat, we got in line, and once the doors opened, we found ourselves a nice spot right up against the barrier in front of the stage. The music started out wonderfully with Colony House, and then Drew Holcomb & the Neighbors, Ben Rector, and finally Needtobreathe. All of the bands played great sets, and I found myself recognizing more songs than I expected, which was a delighful surprise that added just that much more enjoyment. All of the bands did so well! I couldn’t stop smiling, enjoying the songs I knew and the ones I didn’t as the melodies flowed over the crowd. Despite the ringing in my ears, my scratchy voice, ache in my legs from standing in one spot, moving in what can only be likened to quarter-squats for hours as I kept the beat to the music, and the extreme lack of hydration and sleep, along with the awful return trip through torrential downpours, hail, and a lengthy lightening storm, all in the wee hours of the morning, I can still say it was well worth it. The trip was so good overall that it’s really difficult to choose what parts were the best, but if I had to choose my favorite moments? I would have to say bumping into an old friend at a gas station in Menomonie, WI, on the way to Madison would definitely be one. I hadn’t seen her in five years and was really thrown for a loop when we bumped into her at the gas station in the middle of Wisconsin, of all places. It was so good to see her unexpectedly and get the chance to catch up for a little bit! As far as music goes, “Brother” by Needtobreathe and “Follow” by Ben Rector were some of my favorites played last night. And getting to spend so much time with my friends, experiencing the travel and music together, was a treat in and of itself. Although I’m exhausted and my ears are still ringing a bit, I wouldn’t exchange the experience. I certainly wouldn’t give it up for a boring, predictable, full night’s rest. I cherish my sleep, but I’m learning that, once in a while, it’s important to forego the early bedtime in return for something far greater– precious time spent with friends. The joyous expressions on my friends’ faces last night were more than enough to make me grin ear-to-ear as I got to experience such a happy occasion with all of them, connecting through the music that has so deeply shaped our lives. So make time for the people who are most important to you, because you never know what amazing experiences will come your way when you do.